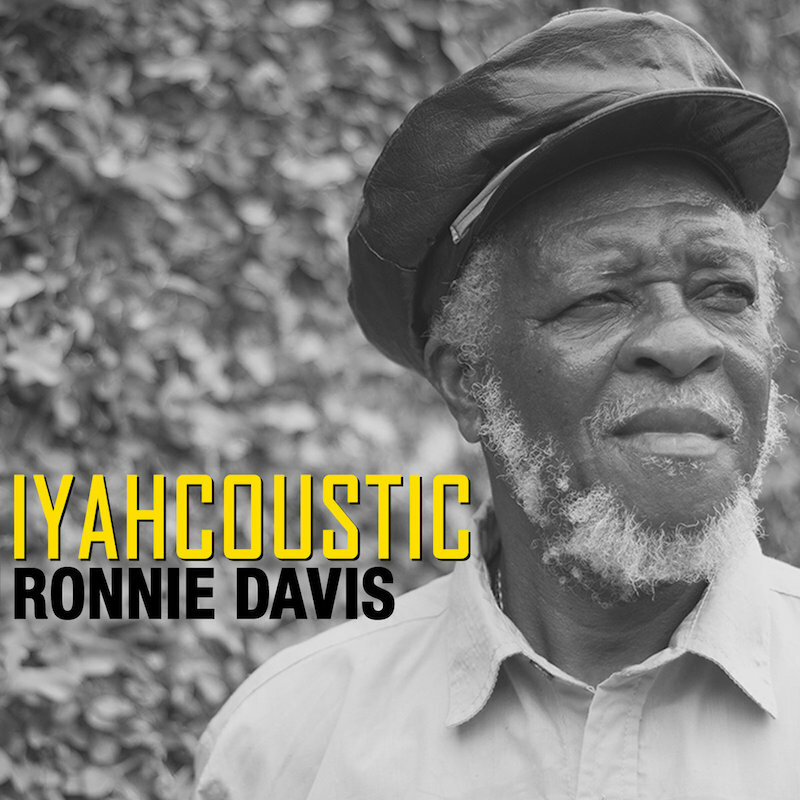 Ronnie Davis belongs to that category of reggae singers known and beloved within the music but undiscovered by the wider world. 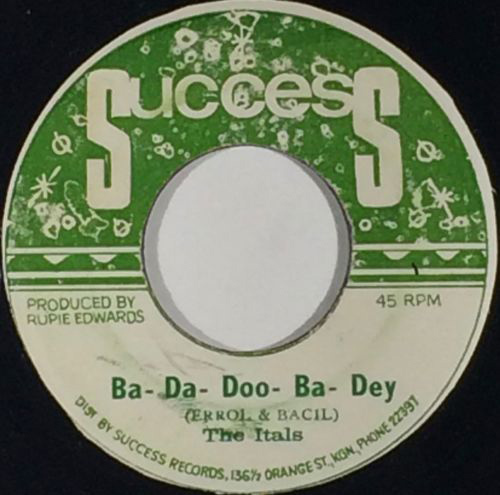 His versatile voice, equally suited to covers and his own material, played a central role in harmony groups the Tennors and the Itals – the latter in parallel with his solo career. He scored big hits such as 1975’s Wont You Come Home for producer Lloyd Campbell and the Itals’ Ina Dis Ya Time (cut on the same rhythm the following year). He also issued a string of artistically strong sides via his On Top label, co-owned with Patrick “Pat Scabba” Sutherland. Yet over the decades Ronnie has only recorded a handful of LPs as a solo artist. This August he released eighth album Iyacoustic with producer Sadiki Buckley (son of Ronnie’s contemporary Henry Buckley). It recasts highlights from Davis’ catalogue in an unplugged style. Angus Taylor spoke to Ronnie on the phone early one morning at home in his birthplace of Westmoreland. The rooster could be heard crowing during the interview. Mr Davis was warm and friendly but not a big talker – in contrast to many veterans who deserve broader recognition he seemed content to let his achievements speak for themselves. The story which emerged was that of a gentle soul who wore his gifts as a singer and songwriter lightly. Throughout his career Ronnie seemed happy to help others and accept their suggestions – even when it came to being called Ronnie Davis (not his real name). You grew up in Westmoreland originally… What was the year of your birth? Do you come from a big or small family? Well, it is big. Big enough. Because my mum had six of us. And my grandmother had seven. Thanks to my mother I have one sister and five brothers. And my father had four boys and two girls. I was the eldest. My father was a driver, a mechanic. And my mum was just a housewife. They were separated. My father was living in Kingston and my mother was living in Westmoreland. Did you grow up in a Christian home? Did you do any singing in church? Well, not exactly. My grandfather used to be a churchman and my grandma. But I wasn't really always such a church person. I would always hide! I wanted to play football or cricket or whatever game was going on. I would leave home and not return until they’d gone to church! So where did you do your singing when you were young? Did you participate in school concerts and talent shows? Yes. We always had concerts at school and I would always sing there. And then I first got involved when they had this Jamaica Festival. Pop and Mento. As a little boy. I was about 15. I sang original songs at that time. So you were writing your own songs from a young age? Did you record any of those songs later? I didn't record any of those but I still continued entering. That was the amateur section of it. You have the Pop and Mento and you have the Festival Song competition. I entered that later. I entered with the Tennors. I entered with the Itals. How did you do in the Pop and Mento competition? I won. It was divided into regions. In in my parish I won. I then went into the second round which was held in Montego Bay. The third round was in Kingston. I went to Montego Bay and I won there but I didn't get to continue. I didn't go to Kingston because my parents didn't want me to go. My grandma was kind of nervous about sending me to Kingston! She didn't have the trust to send me. The big prize was if I went to town and won but I didn't go. I didn't reach there. So what did you do next? Did you form a group? Yes, we used to have a group. We called ourselves the Westmorelites. We entered festivals there. Then I left and went to Kingston. I wanted to participate down there and do some recording. I was living in Kingston from about ’67 until about 1980. You wanted to hear your songs on the radio? Yeah. When I entered the festival the Paragons were in Westmoreland as guest artists on that show. When they heard me sing, Tyrone Evans especially loved what I was doing and invited me to come to Kingston. 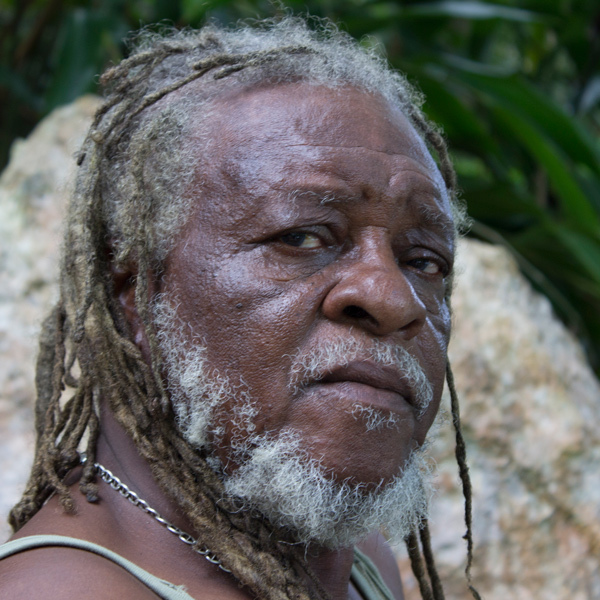 Then I went to Montego Bay and met Derrick Harriot, who was there as a guest artist. I was supposed to go to town to do some recording with Derrick Harriot but I didn't reach that time because of financial and things. When I came back later Derrick already had the session and I never got to record. Then I met up with a man named Sydney Bucknor who was working at Mrs Pottinger’s studio. I went there with Tyrone Evans and we did some demo recording. When you met Syd Bucknor was Enos McLeod there? He told me he learned to produce from Syd Bucknor around this time. He also said he was in the original version of the Itals. No. He was not there. At that time I didn't even know Enos. I wouldn't know that. I founded the Itals. The older Itals group was Errol Holt, that bass man? Flabba Holt, yes. He had a group called Itals before we named our group the Itals. I don't know if Enos was with him. This was when Flabba was working with Rupie Edwards? Yes, they had a song called Ba Da Boo Ba Day. So what happened to these demo recordings with Syd Bucknor? Nothing really happened. But that was how I got to meet and know the Tennors. One of the Tennors original members died. Yes, Maurice Johnson. And so Clive Murphy heard about me and visited me and asked me to take over leadership of the Tennors. We did a couple of recordings for the Treasure Isle and for the Tennors label same way. I guess you didn’t have to audition for Duke Reid at Treasure Isle because the Tennors were well-known? Yes. The Tennors were well known. We just walked in and recorded. What was your first hit that you sang on in the Tennors? The first one was… What was the name of it again? Was it The Whole World Is A Stage? That was the first song we sang with the Tennors, yes. Just as rocksteady was going away we did it. And then we did this one called Weather Report. That was a good one too. We were mostly recording for Clive Murphy’s Tennors label. You also entered the Festival Song competition. We entered the Festival Song competition and we did Hope Village in 1970. That was the year that Hopeton Lewis won. I think we came in second or third. How did you decide to start recording as a solo artist? First of all, Clive migrated to the United States so I had no choice but to start recording from myself. When did you link with Bunny Lee. You did a lot of solo recording for him. Yes, most of my solo career was with Bunny Lee. I was in town and he was my good friend and every day we moved together. So we just record, record, record. I did so many songs for him. Before you recorded as Ronnie Davis you cut some songs as Romey Pickett. Why did you do that? Yeah that was even before the Ronnie Davis thing. Some producers, Bunny Lee and them, just decided to give you a name. They just call me Romey. It is a name that I just grew up with. Yes. My real name is Jerome. My second name is Ballin. Jerome Ballin. So that's how they got the Romey because it was my pet name for Jerome. The long name is Jerome and then they said Romey. When they called you Romey Pickett, was that after Wilson Pickett? Yes sir! I used to love Wilson Pickett. I used to sing his songs until Bunny said "You are just Romey Pickett now!" But it never lasted. How did you become Ronnie Davis? I did this song called I Won't Cry by Johnny Adams for Herbie Carter. He was looking for me but I left and went to the country. When I went to the country he released it as Ronnie Davis. I did another one by Tyrone Davis called Without You In My Life. Because Tyrone Davis was the original. It was the original for that song and he just put that name upon it. He put Ronnie Davies and I just accepted it and just dealt with it. Then you had a big hit with Won’t You Come Home in 1975 with Lloyd Campbell. I met him because he was a regular producer in the business. He asked me to do some recording for him. When we started we did Won’t You Come Home. So I guess when Won’t You Come Home topped the charts, that was when the Ronnie Davis name stuck? Yeah, it stuck. It was working. And also the song I Won't Cry. That was a big one too. So I just adapted and kept that name. I love the name. Lloyd Campbell had you doing some duets with Joy White. Oh yes I did those for Lloyd Campbell. He brought her in to sing those songs. We did those in Randy’s studio. At the same time you started singing in the Itals. You brought in some friends from the Westmorelites days and cut Ina Dis Yah Time on the same rhythm as Won’t You Come Home. Yes. Lloydie asked me to do another version. The rhythm was powerful so he needed another version of it. I have a falsetto voice and I did a song named The Greatest Commandment Is Love for Lloydie and he said he wanted me to sing the parts on that rhythm. But my friend Keith was in from the country and he called me and said he wanted to do some recording. I told him to go and deal with the rhythm and get a song on the rhythm. And we came with Ina Dis Yah Time. So instead of just me I went back and I gave him a break and we recorded it on the same rhythm as Won’t You Come Home. It was a smash hit. It is also Keith Richards from the Rolling Stones’ favourite reggae song. He has a house in Jamaica. What do you think it is about that song that so many people like? Yeah, I know that. I have never met him but I saw what he said. (Laughs) I think it's the lyrical content and the rhythm. I think he loves the rhythm and he loves the lyrics. It was really something else, to tell you the truth. I think the lyrics mainly though. At the same time as the Itals started in 1976 you were putting out your own productions with Patrick Sutherland on your On Top label. You did some really good songs on that label – that were collected on a couple of compilation albums. Yes! Me and Pat Scabba did some recording. We did No Weak Heart Shall Enter The Gates Of Zion, Holding On, Just To Be Close To You, Beware Of Evil Men. False Leaders, Got To Go Home and several other singles. That label was owned by us - me and Pat Scabba. What happened to your On Top label? Well, through the business making some drastic turns I couldn't be financially big to continue producing, so I just left it like that. It takes money to do what you want to do and do it right so it didn't make sense. You also carried on recording singles for Bunny Lee. You did a nice cover of Burning Spear’s Tradition Song. And you did Jah Jehovah. Was Bunny Lee the producer of that? Because the record says the producer is Lloydie Slim. Well you know how those guys stay. Bunny Lee was a man who would try to help producers. They are around him all the while so he just give them songs and they could say they produce them. Yes, because it’s played by the Aggravators and it’s on the same rhythm as Cassius Clay by Dennis Alcapone. But it came out on Micron music. Yes, that was distributed down here. Pete Weston. How did Rasta come into your life? (Laughs) Well, you know I grew up around some Rastaman in Westmoreland. So I always had that inclination to be Rastaman. I grew up are amongst the Rastaman who did not eat meat and stuff. I still eat meat and things but those men they didn't eat a whole heap of things. They would cook up the pepper! Pepper food. In the old days those old Rastaman were just Ital. You did an album in 1977 with Bunny Lee called Hard Times. Yes, Hard Times. And we did Presenting The Music Of Studio 1 as well. Because it was mostly Studio 1 recordings, which we did over. We covered a lot of Studio 1 hits. How did you decide which songs to cover? Most of those songs were Bunny Lee’s choice. He wanted me to do them. I did a lot of John Holt songs. I Am Your Man and all those songs. He picked the songs that are on the album. You also recorded a couple of songs at Lee Perry’s Black Ark. I recorded two rhythms in Scratch’s studio. You are the Fool and Laugh It Off. He was the engineer. He had a studio and we rented it out. He mixed the songs and took the recordings and stuff but he wasn't really the producer. I was the producer. Can you tell me about the song Run Around Girl that you did for the one-off label Ultrasonic? For a man called Garfield Potter? Cornell Campbell did a song on the rhythm and he told me Garfield Potter won some money in a legal case and he started a label. Run Around Girl. Yeah, that was a brother named Dizzy. I remember that song too. He came and told me he liked me to record it and I voiced it for him so. How well did you know Gregory Isaacs? You did some recording for his label African Museum. You also recorded a combination album "Ronnie Davis Meets Gregory Isaacs" for Ossie Hibbert in 1979. Oh, he was my good friend. Very good man. We were very close. We did a few songs with him and me, the Diamonds, and Viceroys. We did two songs on the album. I can't remember the name of the album. But he was the producer. You also entered the Festival contest with the Itals in the early 80s. Yes, with In A Jamaican Style. Tinga Stewart won with No Way No Better Than Yard in 1981. And then we did Wondering and the Astronauts won with Mek Wi Jam. In the early 80s you did some recordings of cover versions for Phil Pratt. You did a cover of Strange Things by John Holt. Phil Pratt was my good friend. I did Strange Things, Black Cinderella and another couple of songs. You sang a lot of cover songs over the years. People like to hear your voice on famous songs. I did a lot of cover songs. But you said you been writing songs that you are very young. Which hit songs have you written? Well I wrote a lot of songs in the early days but not so much at this time. I wrote Won’t You Come Home. I wrote No One Can Take Your Place. No Weak Heart. False Leaders. Got To Go Home. Beware Of Evil Men and a couple more. A lot more. In 1985 you recorded your album The Incredible Ronnie Davis Sings For You And I. Yes, that was my production. What do you think about what happened to the music in the 80s? There wasn't so much singing, there weren't so many harmony groups, and there weren’t so many musicians. Yes that was, I think, because the producers had enough rhythms. When they went to the studio they always had a lot of rhythms. So at the same time they didn't have to call back any musicians and they started to do pure version. You had lots of rhythms of versions by artists and that's how the business got to open. Because when we first started to do it we had to create the rhythms so the musicians played. I think it's helped the business anyway. You get more competition, more singers and people can just get rhythms out and do it. So what did you do in that time? Did you tour with the Itals? Yes. I toured Europe and the United States. I enjoyed it. I spent a few months out there in Europe and in the United States same way. It was really something else. I wish I could be doing it still. That was all I did and that is what I love. To sing. It’s a good while I haven't been out there so I'm hoping that something will be going on. Why did you leave the Itals in 1995? Let me tell you something. Some people are just all for themselves. For instance, the brother named Keith, he just pleases himself and runs around saying he should do this and that. And I can't stand to have him dictating to me, telling me he runs this and he runs that. So I said "Boy, let him go do it" and I just left. And every time somebody made me try and do it again he had a problem with it because he is all for himself. He is a selfish brother. Every night on stage he would want to be the lead singer all night. He didn't like singing harmony. I couldn't afford to let him dominate the thing. So that's why had to leave. So you formed your own group Ronnie Davis and Idren with Roy Smith from Westmorlites. I just tried to create something. It wasn't even a group. It was just a band who we called Idrens. But it was never successful because of certain little things that didn't work out. But you did go back to the Itals at one point with David Isaacs? Yes, I went and did some tours with them but that wasn't where my heart is. Even now they still have in mind that they want me to work with them but I can't work with them. You have also done some tours with the Tennors. I am always available for the Tennors. Always. But lately I've noticed that he will advertise me and then not call me to come and work with him. So I don't really know what's going on with it. Wasn’t Sadiki, who produced your new album in the Tennors for a while? Yes, man. We did a show in California, in LA, a couple of years ago. I met him through Clive. But I don't know what went wrong with him and Clive but it never worked out. Sadiki is a person who I adore. I respect him. That's how we came to work together because he is a cool man. You’ve also recorded some singles with English producers recently. Tell me about the song you did for Horus records called Make Haste? Make Haste? I don't remember that song. You also did a song called New Generation for another English label called Tuff Scout. Yeah man. But I didn't hear anything from them since then. They tried to get in touch with me through some people who knew me and I got to meet them. I didn't really know them but it was some guys in England. And there were some European guys. I think they were from Switzerland or France. Or Italy. I remember. Finally tell me about your new album with Sadiki. Well, it was Sadiki's idea. I just did what he wanted me to do. He just picked some songs and we just did them. Are you going to tour the album? Yes, we are actually working on it right now. It will start in Europe. We are having things out there to let people know what it's going to be. He has the whole arrangement and how is going to go. I don't know how it's going to start. We are planning on it, big time. Didn’t you also do a show in London a couple of years ago with Earl 16? That was brilliant. Big time. I forget where the place is. It was with Mike Brooks. Did you come to England much in the 70s and 80s? Yes, I stayed in England for about three months in 1978. I was just floating around. I wasn't really doing many things. That was the first time I went there. But my daughter was going to be born so I came back. Why did you leave Kingston in 1980 and go back to Westmoreland? That was a terrible time man. That was when guns were barking. Yeah, I couldn’t see my way. And I had rent to pay too. It was terrible. I was never happy there at all but it's over now. I made a swift turn. And I went back home. What are the best things about living in Westmoreland? In Westmoreland I don't have to buy everything. Because when I'm in Kingston I have to buy everything. Being in Westmoreland is much easier for me. I had to go back to my roots. Is it true that the best crops come from Westmoreland? (laughs) Yes man! It was and it's still the best.